When NGOs move beyond charity and service delivery into citizen empowerment and into challenging government and sectional interests they invariably generate criticism, outright hostility and, increasingly legalistic repression. Who needs NGOs or civil society organisations? And, in whose name do they speak? When government does its job well, responds effectively to citizens’ rights and needs, delivers quality services, a secure and sustainable environment and an economy that services all, what is the purpose of many NGOs, trade unions, religious groups, community groups and others that collectively make up civil society? This question is routinely asked worldwide in a context where it is reliably estimated there are 10 million plus such organisations. And, the answer is obviously that there are millions of citizens worldwide who deem them necessary and relevant enough to form them. NGOs and similar organisations are not new but have been around for centuries. For example, they helped organise the opposition that led Britain to abolish the slave trade in 1807 and later elsewhere; the International Committee of the Red Cross was founded in the aftermath of the Crimean war in 1863. Following World Wars I and II, new NGOs dedicated to humanitarian and development goals appeared including Save the Children Fund (1917) and The Oxford Committee for Famine Relief (now Oxfam) in 1942. Other international brand name NGOs such as Amnesty International and Greenpeace emerged in 1961 and 1971 respectively. NGOs have also been a vital part of the campaign for women’s rights worldwide and now they are at the forefront of attempting to protect our planet against the ravages of our mad economic development model. Many NGOs are well known, very many others not so; in their work and focus very many are uncontroversial, many others definitively not so. Routinely, many NGOs work with governments to improve and better focus services, to expand welfare entitlements, to assess their impact and to push for new initiatives. Because they are most often smaller, quicker to respond and less bureaucratic, they are deemed more effective than government. In this traditional familiar guise, their work is uncontroversial and usually lauded. When NGOs move beyond charity and service delivery into citizen empowerment and into challenging government and sectional interests they invariably generate criticism, outright hostility and, increasingly legalistic repression. We traditionally associate such hostility and repression with countries in the Developing World or in the Arab World or in Russia but in recent years it has become frequent in many parts of Europe and the Western World. Such hostility is now routinely to be seen in official responses to NGOs involved with issues such as migrant protection and rights, environment and climate change, the use of detention and even torture, investigative research and free speech, to name but a few. 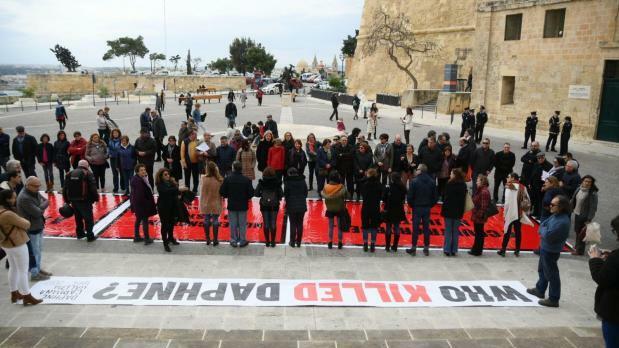 In societies (such as Malta) where the normal structures and procedures that regulate and underpin society have been effectively ‘captured’ by economic and political interest groups and agendas, NGOs have become an important, even vital part of society’s response. While there are many legitimate criticisms that can be made of some NGOs (and, in Malta and elsewhere, there is no shortage of critics to make them), not all such criticism is honest. Many critics remain apologists for various political parties or directly for government intent on undermining civil society opposition. So, in answer to the spurious question ‘Who elected NGOs’, the answer has to be society, circumstance, necessity and the interests of democracy.